One day, you will play Final Fantasy XV. It’s been a long wait. But you will not get to play this Final Fantasy XV. Via Tumblr fartnoisespbth, this fan art shows FFXV characters with their genders changed. Here you can see how the designs were tweaked. 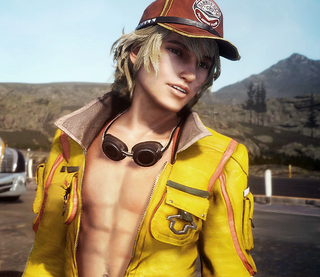 This would probably address the complaints of those who wanted to play as women or weren’t that thrilled with Cindy. But maybe we’ll get this in DLC or a still-unannounced Final Fantasy XV-2? Eh, eh?